[아시아엔= 나시르 아이자즈 아시아엔 파키스탄 지부장·번역 김아람 기자] 파키스탄 신드주(州)에는 멋진 자연 경관을 자랑하는 기차역이 하나 있다. 바로 ‘고락힐’(Gorakh Hill) 역이다. ‘고락’(Gorakh)의 어원은 늑대를 뜻하는 브라후이어(語) ‘Gurgh’에서 유래됐다. 이 역이 특별한 이유는 해발 1,734m의 높이를 자랑하는 키르타르 산맥에 위치해 있다는 것이다. 신드 주에서 가장 높은 곳에 자리한 셈이다. 이곳은 높은 고원에 위치한 만큼 주변 경관이 빼어난데다, 타 지역에 비해 비교적 기후가 좋아 관광객들의 발길을 사로잡고 있는 명소다. 산 정상에서 바라보는 풍경은 아름답기 그지없다. 필자도 이곳에서 450km 떨어진 카라치(신드주의 주도)에서 장장 8시간을 달려 고락힐 역에 도착했을 때의 감동을 아직도 잊을 수 없다. 주변의 빛 하나 없이 오롯이 수많은 별들을 담고 있는 깜깜한 밤하늘 풍경은 말 그대로 눈부신 절경이었다. 필자로 하여금 2008년 한국 방문 당시 백담사에서 본 밤하늘 풍경을 떠올리게 할 정도였다. 고락힐 역은 사실 파키스탄의 아픈 역사를 담고 있다. 이곳은 과거 영국령 시절 영국인들이 휴양지 리조트 건설을 목적으로 만든 역이었다. 당시 남아시아 대륙을 지배하고 있던 영국인들은 뜨거운 햇빛이 내리쬐는 여름날씨를 피하기 위해 파키스탄, 인도, 방글라데시에 휴양지를 건설하기 위해 높은 언덕이나 산 위에 80여개의 기차역을 만들었다. 그러나 1947년 인도와 파키스탄이 영국으로부터 독립한 이후 지금까지 수많은 기차역들이 방치돼왔다. 고락힐 역도 그 중 하나다. 70여년 동안 사람들의 무관심 속에 방치돼있던 이 역은 지금 관광지로 ‘새로운 변신’을 꿈꾸고 있다. 이미 운영 중인 게스트하우스와 고급 숙박시설 외에, 관광객 전용 쉼터와 직원숙소가 건설 중이다. 향후 더 많은 쉼터를 비롯해 크리켓 경기장, 헬기 이착륙지가 추가로 건설될 예정이다. 이 모든 계획이 원활히 진행되기 위해서는 장기간의 인내와 막대한 투자가 동반돼야 한다. 현재 민간 부문의 투자 유치는 어려운 상황이라, 신드 주 정부는 해외투자 유치 방안을 모색해야 한다고 필자는 생각한다. 주 정부 역시 이 사실을 인지하고, 한국을 포함한 여러 국가에서 투자를 유치해 지역 부흥에 힘썼으면 하는 바람이다. British General Sir Charles Napier, who conquered Sindh (Present-day province of Pakistan) in February 1843, was scared of blazing summer of this country and was in hurry to seize it before the sizzling weather approaches. “The hot season was coming on, and action must be taken at once. I have no time to lose; my own troops must soon disperse with the heat: I will not lose the cool weather,” were the words he wrote to one of his officers Major Outram in first week of February. The British colonial forces encountered hot weather in almost the entire Indian subcontinent during their ventures since their arrival here in 16th century in the garb of traders and it is the main reason that most of the hill stations in India were developed by them to get respite from the oppressive summer heat. The British Raj founded perhaps 50 of the 80-odd hill stations in the Indian subcontinent while the remainders were built by various Indian rulers over the centuries as places of leisure or even as permanent capitals. The British colonialists remained busy all the time identifying locations for developing the summer resorts in different parts of present-day India, Pakistan and Bangladesh. The Murree and other hill stations located in Pakistan’s north too were developed by them. Certain locations however could not be developed due to departure of British Raj from subcontinent in 1947 and perhaps Gorakh Hills in Sindh is one of them, still in the process of development, as this place has remained neglected for the last 69 years and it is hardly one and half a decade back that approach roads started being built. 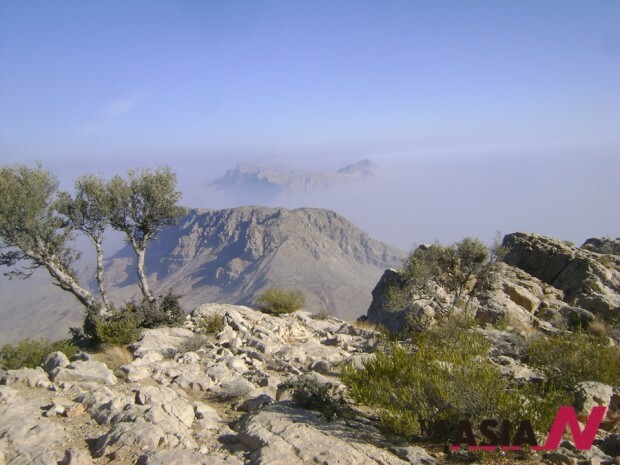 Gorakh, the only Hill Station of Sindh, is situated at an elevation of 5,688 ft (1,734 m) in the Kirthar Mountains, 94 kilometers northwest of Dadu city and about 450 kilometers northwest of Karachi. It is situated on one of the highest plateaus of Sindh, spread over 2,500 acres (10 km) of land and is very attractive to nature-lovers owing to its temperate weather and beautiful surroundings. Gorakh’s elevation gives it a special climate, with sub-zero temperatures during winter and generally below 20 degrees centigrade during the day and below 5 degrees centigrade at night in summer, with about 120 mm of average annual rainfall. The Government of Sindh is in the process of constructing a new road from Dadu to Gorakh Hill. There is a new rest house for visitors on the hill. Tourists can arrange their own transport to the hill station. The name Gorakh is derived from the Brahvi language in which, the word “Gurgh” is used for ‘wolf’, and is adopted from Balochi language word “Gurkh”, which has similar meaning. Located in Dadu district in the Khirthar Range at the border of Sindh and Balochistan provinces, the vistas viewable from the top of the hill are unforgettable. However, getting there is nothing short of an accomplishment. It takes around eight hours from Karachi to reach the top of Gorakh Hill. The main reason for such a lengthy journey is the poor condition of roads – a common problem throughout Sindh. However, the road (if at all it can be called that) from Johi, the last major town enroute to Gorakh, to Wahi Pandi, the last village before taking the road to the hill, is absolutely treacherous. The road, built a decade back, was washed away by torrential rains in 2011 and the Gorakh Hills Development Authority could not rebuild it as construction and maintenance of roads was not within the purview of this department. From Wahi Pandi to Gorakh, a distance of 54km, it takes about two hours. However, the climb to the top is next to impossible unless one has a four-wheel drive vehicle and an expert driver. Even then, the almost vertical ascent at some spots and hairpin curves, leaving barely a few inches between the vehicle’s tires and the edge of the road, looking down into deep ravines, is enough to make even the non-religious start reciting from scripture. Yet as one climbs up towards the summit of Gorakh Hill, the mountain hues are stunning. There is grey, ochre, brown and a speckle of green here and there. The natural sculptures, fashioned by wind and water no doubt, are a sight to behold. The climb could only be punctuated by the occasional sighting of any lonely shepherd tending his flock or a camel herder watching over his beasts, or construction workers being hauled to the top. The sights as I climbed up the hill were indeed something for sore eyes, reminiscent of a cold night spent at Baekdam Temple in South Korea in 2008. At night, a canopy of stars was visible in the clear sky above – more stars than one could count. What is more, the silence was all-encompassing while the air was crisp and cool. A VIP rest-house exists along with a regular guest house, while staff quarters and tourist huts are under construction. 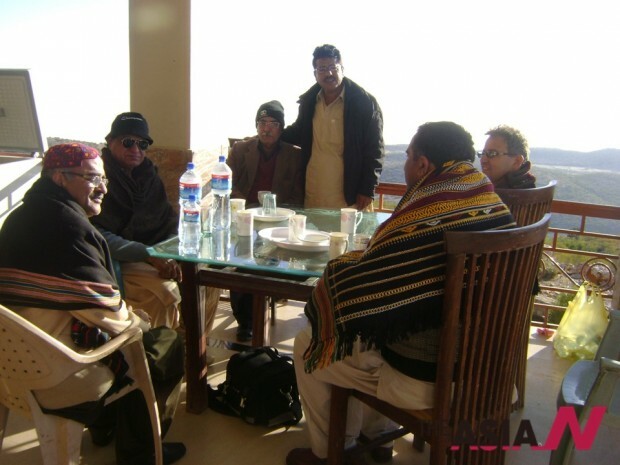 While the weather in Dadu and Johi below was pleasant, on Gorakh Hill it was absolutely nippy. And as the sun came down, the cold started to bite. Late at night, as the electricity went off and the wind started howling on the pitch dark hilltop, the feeling was otherworldly. There is one tuck shop and any kind of food available at the newly built restaurant on the hill; there are other options too including bringing your own. Once, when I and some of my friends visited this place in May 2008, a few months before my trip to Korea, we had to sleep under the open sky shivering all night, as by that time no restaurant or guest houses were built. The dinner and other eatables were also brought by friends. But now such facilities are available that attract a large number of local tourists, especially at weekends. Most of them spend a day and return at the night for having insufficient arrangements to stay. However, a system is needed for confirmation of space, while a website with details all visitors require on the hill is essential. Police posts have been constructed all along the way but they were seen without police personnel, as the visitors need no security in this area being the hub of peace and tranquility. “We want to have a mountain safari. Currently eight huts are ready and over a dozen more are being constructed. A helipad and cricket ground are also planned,” an official of the Gorakh Hills Development Authority told us. These are big plans and will take a long time and huge funding to accomplish. The slow pace of development is because of keeping the private sector investors away from this project. 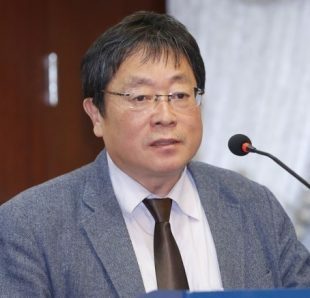 The development work of hill station, considered to be the most modern city on the “Roof of Sindh” could gear up only if the foreign investors are invited, and may the provincial government of Sindh realizes this fact soon and invites Korea and other such countries having expertise in developing their mountains.